Powered by the most up-to-date OMNI Board 2.6, Vaporesso Switcher is a high performance kit with a 220W Switcher box MOD and a 5ml NRG tank or 2ml NRG Mini tank. Designed for cloud chasers, it features revolutionary case replaceable design, optional lighting version and interchangeable GT coils. As a multi-purpose kit, Vaporesso Switcher is consisting of a 220W Switcher box MOD and a 5ml NRG tank or 2ml NRG Mini tank. Powered by the most up-to-date OMNI Board 2.6, Switcher is high performance dual 18650 mod with the max 220W output. 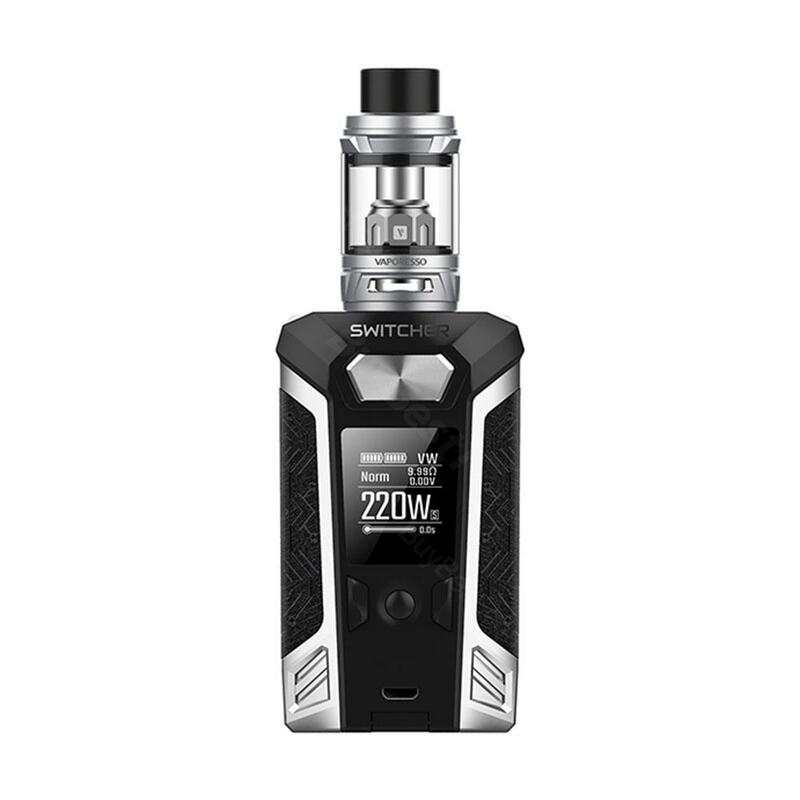 It comes with the simplest operation with newly added graphical virtual keys, unlock button, puff number statistics and high power protection, providing a stable vaping experience. With the revolutionary case replaceable design, you can change the Switcher mod to different looks you like. Among 6 colors, 3 ones are LE versions, which can add more vaping fun. NRG tank comes with 2ml TPD edition and 5ml standard edition. Designed for cloud chasers, it features innovative interchangeable GT coils for wide range of wattages, which satisfy different vaping requirements. Along with slid-n-fill design, adjustable bottom airflow, NRG tank paired perfectly with Switcher mod. • It doesn't come with e-juice or 18650 cell. • Only the Red Blue Color has Lighting effects. Liquids schmecken gut. Für Anfänger sehr zu empfehlen. schönes Design. Vaporesso Switcher ist gut. Verpackung und Versand super.